On November 23rd, hostilities ceased between the Ohio Warriors and KOCA92, and we were victorious. Although we may not be able to get an accurate measurement of where we are as a clan from this opponent, we can still take away some good lessons. 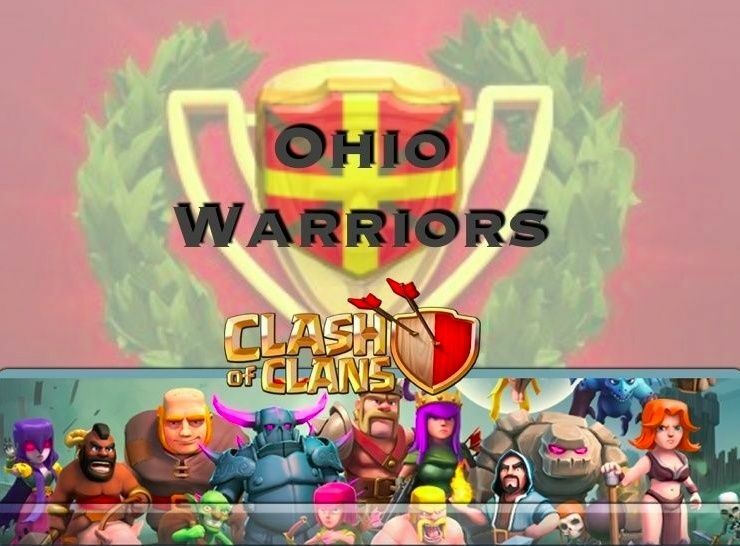 Unfortunately, our opponent only used 36 of their 60 attacks, and many of them were either ill-advised attacks, or higher players attacking well below their own level…things that would get you kicked from the Ohio Warriors. Never the less, there were some encouraging observations from this “low stress” war. First, I want everyone to know that when we have an opponent with nearly half of their attacks unused, we have to assume, that they will at some point launch a major offensive. Why? Because we have done this in the past and won as a result. As it turns out, they never did make a late push to try to make a game of it, but we had to take them seriously due to the remaining attacks from their higher level players. So, that it why we did not allow going for loot until late in the war. Had they used more of their attacks, and we were still up by a large margin, then we would have likely given the go ahead earlier. But I feel it is better to err on the side of caution. Leadership’s responsibility is to see to it that we win the war first, and loot is secondary. Participation: Once again, we had good participation. Only 2 players did not use both attacks, and for both of those 2, this was your freebie. This discipline is the most important attribute to winning wars, and we are doing quite well in this area. Execution: This was an excellent week to tune up our execution. We still had some very difficult and failed ground attacks (one of mine included), but we will chalk these up to learning experience. TH8, as we know can be a difficult level. One thing we have talked about is that there really is no substitute for war experience. We can run raids during the week, and they help for sure, but nothing can replace the quality of experience you get in WAR. Keep trying, watch war replays, and remember what works and what does not. I encourage you all to watch the replays of the failed attacks on the war map while they are available. These are a great way to identify mistakes so we don’t repeat them. Also watch the successful attacks, and borrow from them the things that are proven to work. After that, we have the new “Strategy” topics on the forum where we can share ideas, and they are divided by Town Hall level. My hope is that we can make these into our library for war tactics and become students of the game, like all successful players do in any game or sport. Forum: Our forum usage is at an all-time high. Great job using the forum. As we can see it has become an excellent tool to help organize war. It is also becoming a powerful tool for the sharing of knowledge and ideas as we already have some posts on strategy. If you have not made a user ID yet, I encourage you to do it. You won’t be disappointed. Defends: We had some very successful defenses as well. Of our TH8’s, we had 2 get 3-starred by all-dragon attacks, but we had 5 players hold an all-dragon attack to either 1 or 2 stars. This is excellent work, as we know how difficult it can be to stop 11 dragons. If you want to gear your base to stop the dragons, I encourage you to again take a look at the bases that are successfully defending against the dragons. Town Hall 7’s: Once again, our TH7’s deliver the goods, bringing home the stars in the middle and lower end. Great job once again TH7’s. You are using your all dragon attacks very well. Keep up the good work. Tempers: No issues this week that I know of, and it’s great to see everybody getting along for the most part. Less drama is a good thing… See, that wasn’t so hard, was it? War Troops: Let’s not forget that WAR TROOPS are Level 5 and above regular troops, and level 3 and above dragons. DO NOT EVER place a non war troop in the war map. It’s not personal, it’s business. If you are a TH7, you can’t donate for war, period. You don’t have the troops. If somebody specifically asks for a lower level troop in lieu of a war troop that’s ok. But a level 2 dragon is not a war dragon. Also, we have only 1 player with level 4 dragons. DO NOT DEMAND Level 4 dragons for your attacks. Level 3 dragons are war dragons, and If that’s what you get, then you need to roll with it. You MAY NOT demand a troop that only one player has. That’s RUDE. You’re no better than anybody else, get over it. On a final note, these types of wars are good for us to tune up our attack strategies, because as we all have probably noticed, we are getting tougher clan war opponents lately. KOCA92 had some war base issues in terms of both design and level of defenses, but some of their bases were tough. It is only a matter time before we land another Maldives or Russian, and the discipline and strategy we learn and implement will eventually pay off. Well done on this war, we did what we were supposed to do! As always, comments are welcome, keep it civil. I appreciate the comment of asking for level 4 dragons for war. I remember when I was the only one with level 3 dragons and I had to spend a boatload of elixir to supply the demand, then have enough for myself. Leadership council is going to convene on this topic this week, there is more I want to discuss on it, off line. Sooo....went through the war again. We had 5 successful defends. KOCA892 had 9. And 3 of our 5 were dmsm's. A couple of things I want to point out, on a couple of our failed attacks we used balloons. Now I'm sure there is a way to incorporate balloons in a war attack, but I've never figured it out. I just wouldn't use them. They go down way too fast. Some input from somebody else would be nice...a second opinion. Also, on at least 2 of the failed attacks there were not enough wallbreakers, and on one of them the golem got hung up on the wall, like golems are prone to. So make sure if you're bringing the ground attack to bring enough wallbreakers.